Soooo here we are again back to the start! -_- I feel like i've been neglecting Gabbyluvs lately, more or less since school started. But i feel even worse because i've been paying Luuux a lot more attention(Hey it's free things! I like free things!) but i think i have a plan xD just read on to find out what it is! Ahh gossiping time, i've decided that i love to write down the weeks gossip so much that it's gonna become a segment on here along with Music Friday. Scream yay 4 new segments! This was just horrible, i mean how do you mix up the winners?! I bet yo guys already know what i'm about to say about these two huh? Welll just in case you didn't and you're thinking about marrying JB anytime soon (which i hope and pray not) check this out. Dear Rihanna A.K.A. Ronald McDonald, please get rid of that red wig....please? 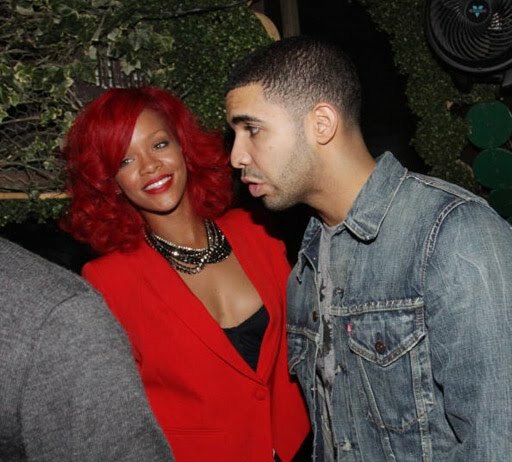 Oh and leave my Drakey alone, i mean just look at him in this picture he is obviously not interested -_- Keep yo red lips to yourself!